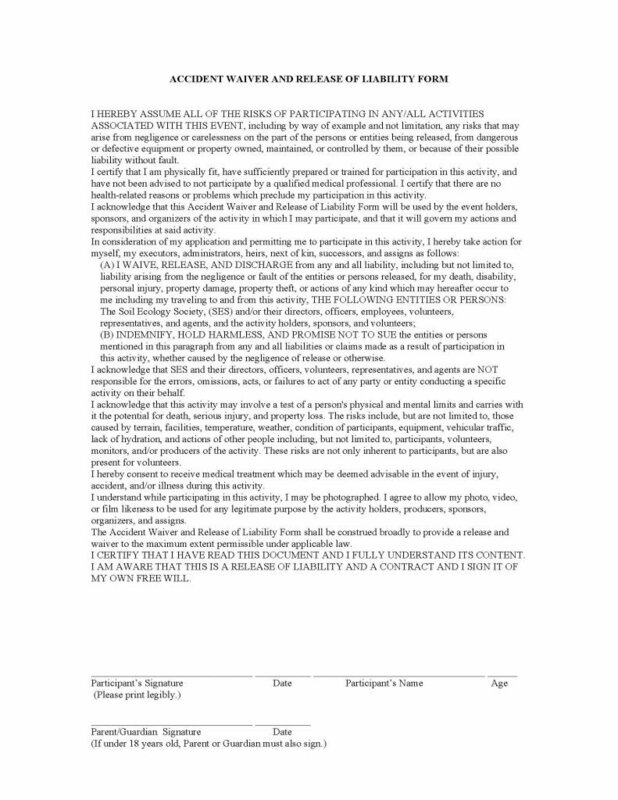 The accident waiver and release of liability form is a legal document that is quite extensive in nature with regard to the legal protections for any person or persons, company or organization that is holding virtually, any event or activity, no matter what the risks, completely harmless from any liability whatsoever, for anything from Errors and Omissions to death, as a result of the event. The participant will hold free of harm and liability all persons involved in the event harmless for any damages at all, from Volunteers at the event to Senior Executives of any company or organization involved, from the time the person leaves their location to travel to the event to the extent of their stay and their travel back to their home location. 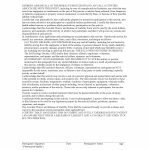 By signing this agreement, the participant will consent to medical attention to be sought and implemented on their behalf, in advance. As well, they must agree to allow any photographs of their likeness to be used in any way that the coordinators of the event choose, as long as the purpose is legitimate. Very simply, no matter how dangerous or taxing the event may be upon the participant, in a mental or physical manner, if any accident or even death should occur, the participant is agreeing that there will be no avenue of legal action against any of the parties involved in the event. Read and review this document very carefully before applying signature inasmuch as the participant nor any member of their family, will have any legal recourse in the event the participant is injured, no matter how seriously, to include the death of the participant, under any circumstances. Proceed carefully inasmuch as even a parent of a participating child or children under the age of 18 years, will be subject to the same.